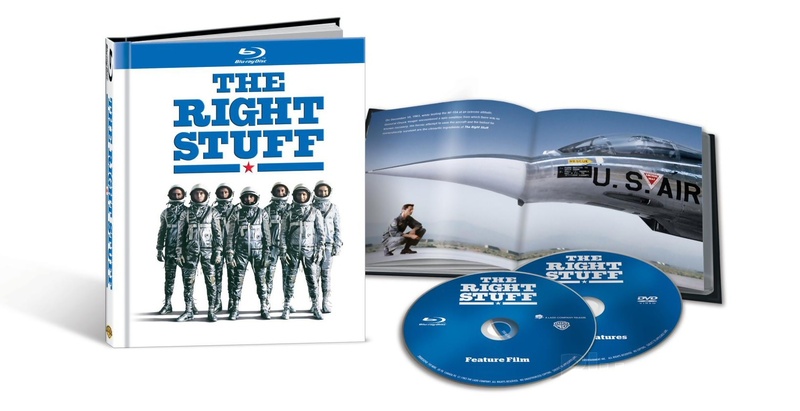 If you’re a fan of the 1983 film “The Right Stuff” — and I suspect more than a few of you are — you’ve got a treat coming this fall. Warner Bros. is releasing the classic film on high definition Blu Ray Nov. 5 to mark its 30th anniversary. “The Right Stuff,” which was adapted from Tom Wolfe’s equally terrific book, chronicles the birth of the American space program. But for my money, the early scenes that explore the high-risk, often-fatal lives of test pilots at Edwards Air Force Base during the 1950s are just as compelling as the story of the Mercury astronauts. Sam Shepard is especially memorable as the legendary Col. Chuck Yeager, who successfully breaks the sound barrier in the experimental X-1 aircraft and then nearly dies attempting to break the altitude record. The Blu Ray disc will come packaged in a nice-looking 40-page book, and will have more than three hours of bonus features, including deleted scenes and documentaries on John Glenn and the other test pilots that risked their lives to break new ground in air and space.